TI’s extensive power portfolio supports the requirements of the i.MX and QorIQ families of NXP/Freescale processors. 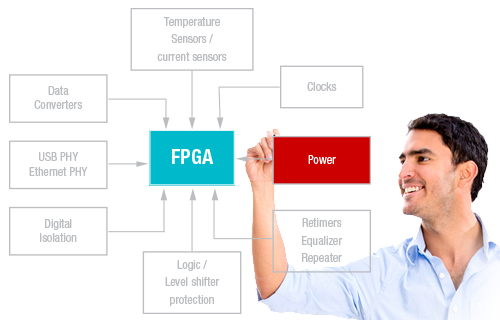 The i.MX Applications Processors and i.MX Crossover Processors are heterogeneous multicore and single-core processors for automotive, consumer/industrial multimedia and display applications. The QorIQ® Layerscape Processors are Multicore SoCs for enterprise, service provider, cloud and industrial markets. WEBENCH Power Architect suggests devices that meet the basic supply voltage and current requirements of the processor. Before picking devices for your design, refer to the processor datasheet for more detailed power supply requirements that must be met, such as voltage tolerances, power-up/down sequencing, AVS/DVS, and ramp times.